50% on booking, 50% six weeks before arrival, £100 refundable damage deposit. Mother Ivey’s Bay, on the north Cornish coast just outside Padstow, is an area of astonishing beauty and natural wonder. 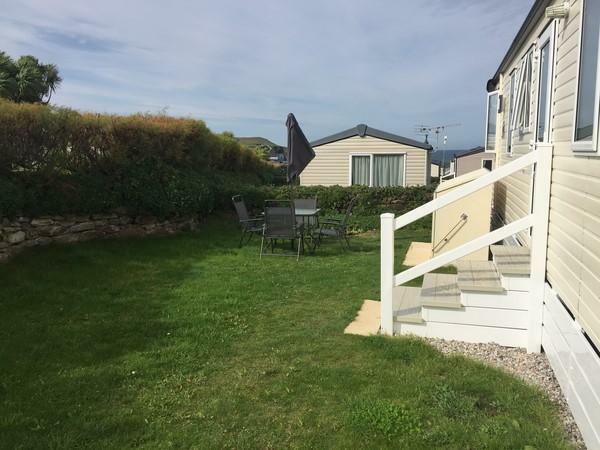 The family-friendly holiday park, winner of multiple awards, has its own fantastic sandy beach, which is just a couple of minutes’ walk from the caravan. 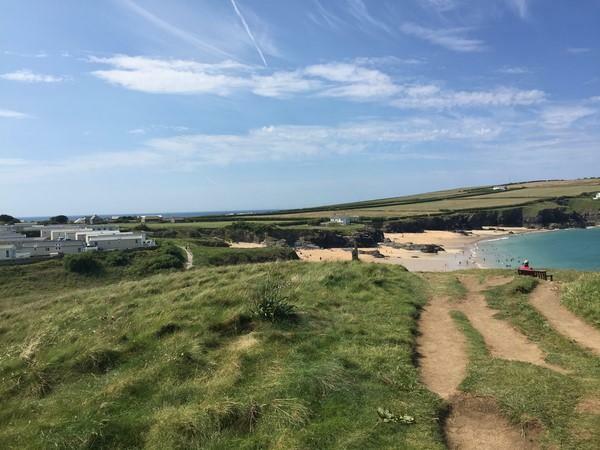 The local area is very peaceful, yet within easy striking distance of many of the more famous beaches and towns in the area, such as Constantine Bay, Harlyn, Trevone and Padstow itself. 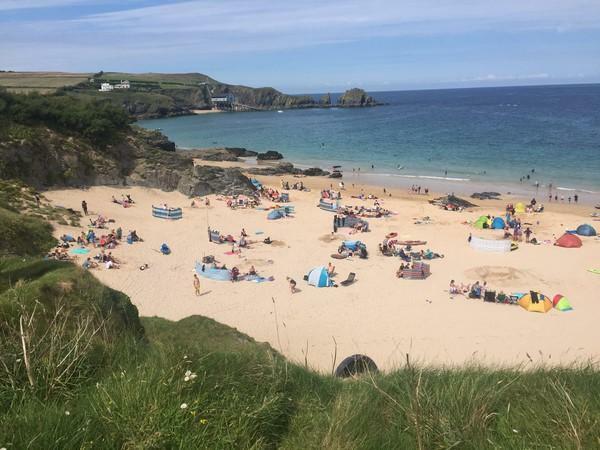 Local activities include walking, surfing, fishing and golf, as well as heading to the beach for sand-castle building and rock-pooling. 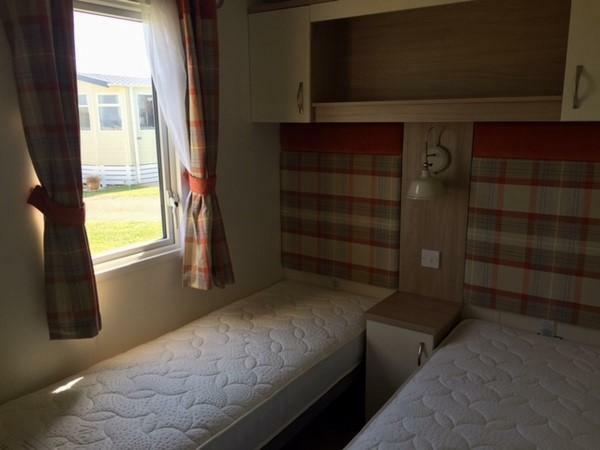 All amenities are provided on the park – there is a well-stocked shop, laundrette and excellent children’s play area. The park and grounds are exceptionally well kept, and there is enough space and privacy to ensure a relaxed and pleasant stay. 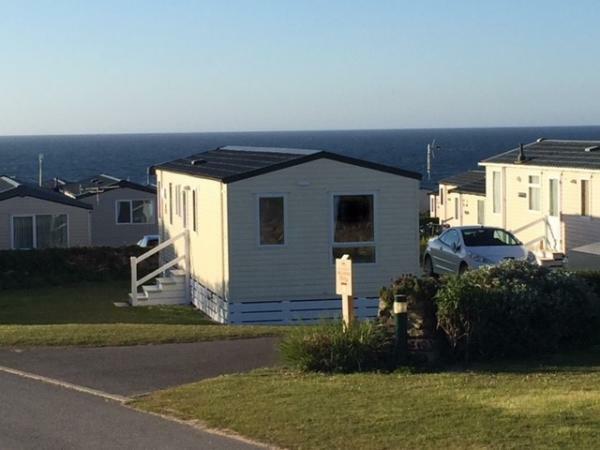 The caravan was purchased new in 2017 and remains in pristine condition. 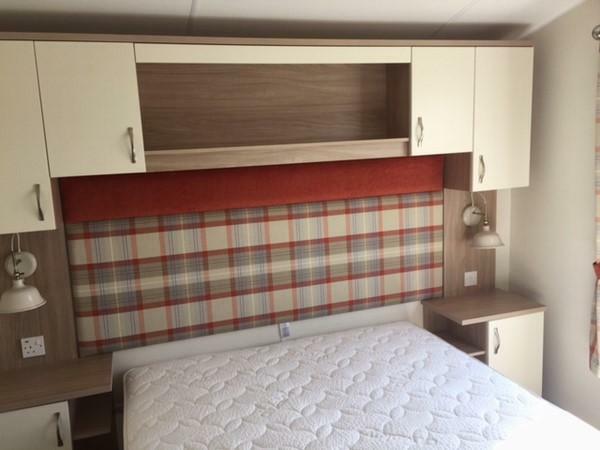 It has been equipped to a very high standard and provides guests with a level of luxury above normal caravan holidays. 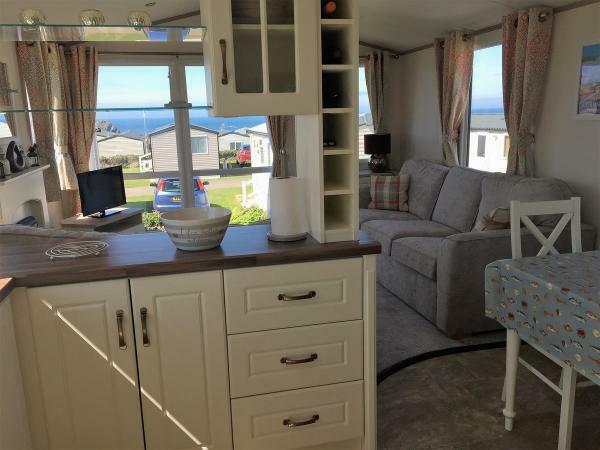 The interior is very modern, light and spacious, and has wonderful sea views directly from the front window. To the side is a large, especially private walled garden area equipped with table, chairs, parasol and barbecue, ideal for games of badminton, frisbee and boules. The master bedroom has a comfortable 5' x 6'3" king-size bed and an en suite toilet, while the second bedroom has two 2'3" single beds that can be pushed together to make a double. The main bathroom is fully equipped with a modern shower and heated towel rail. In the lounge there are two sofas, one of which converts into a double sofa-bed, along with a freeview television, DVD player and plenty of board games. 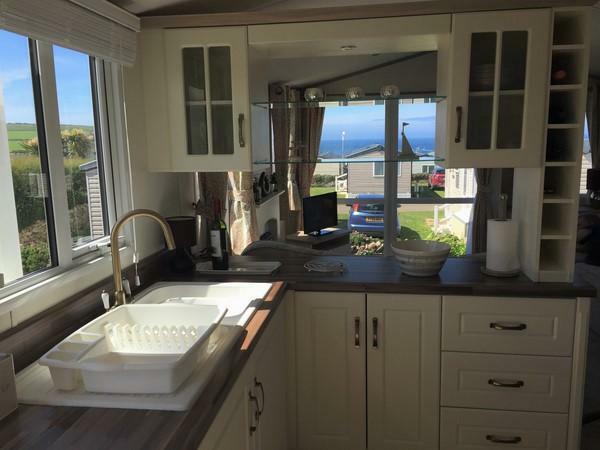 The kitchen has a full-sized fridge-freezer, cooker, hob, microwave and Nespresso coffee-maker – everything you need for meals inside around the dining table or outside in the garden. Duvets and pillows are provided for all beds. Please bring all bed linen, towels and a bath mat (if required). 3 nights minimum stay. We ask for 50% to be paid on booking, with the remaining 50% to be paid 6 weeks before your holiday. We also require a refundable damage deposit of £100 (to be returned after your stay). We kindly ask all our guests to clean the caravan on departure, leaving the caravan as they found it. 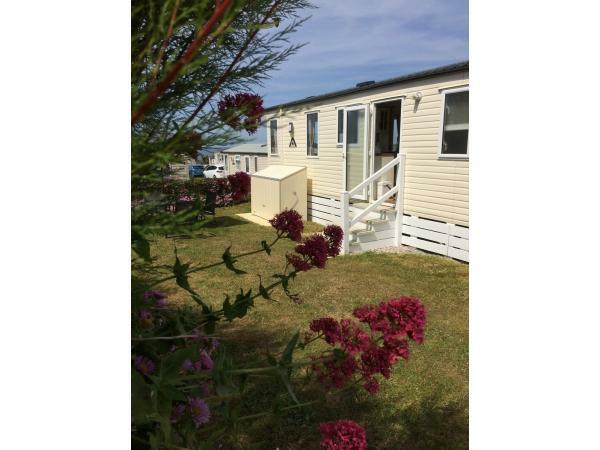 Please note: the caravan is only available for rent during July and August. No reviews found. 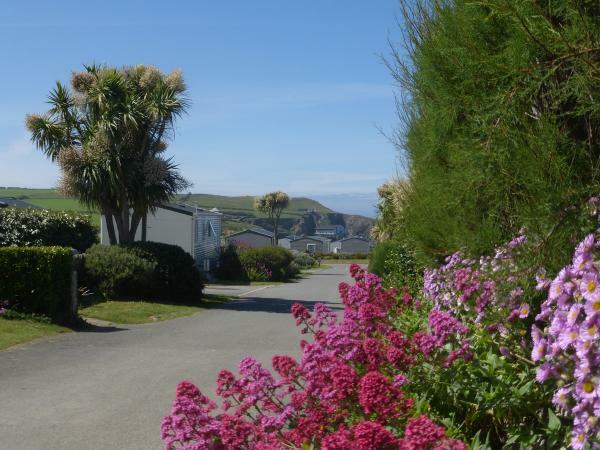 If you have recently stayed in this holiday home please leave a review, it only takes a few moments and will really help future guests when they are searching for holiday accommodation at Mother Iveys Bay Holiday Park.